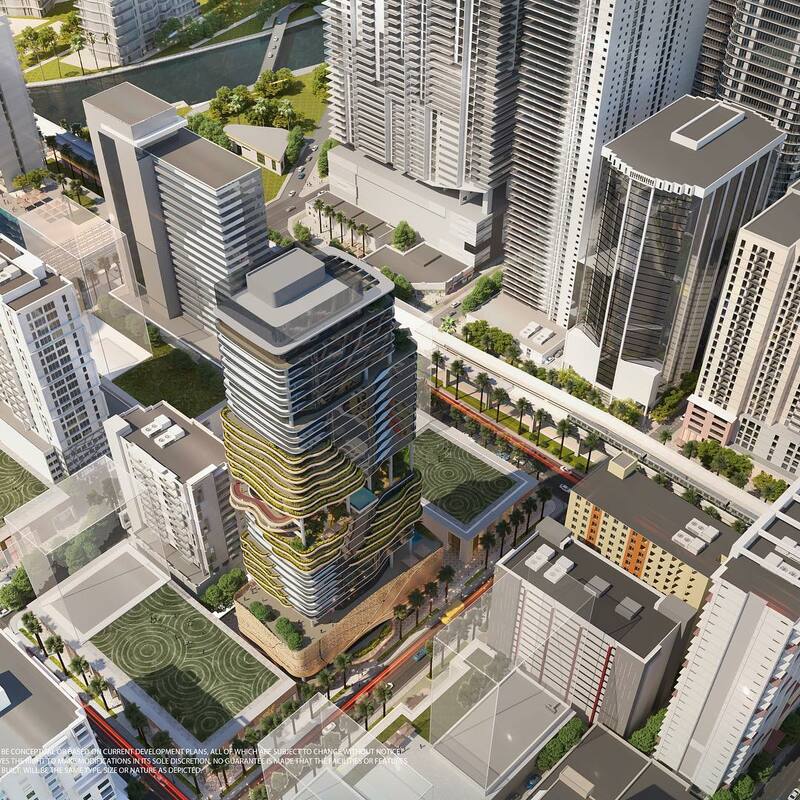 Habitat Group has revealed renderings of a project planned in Brickell, the biggest yet for the developer. 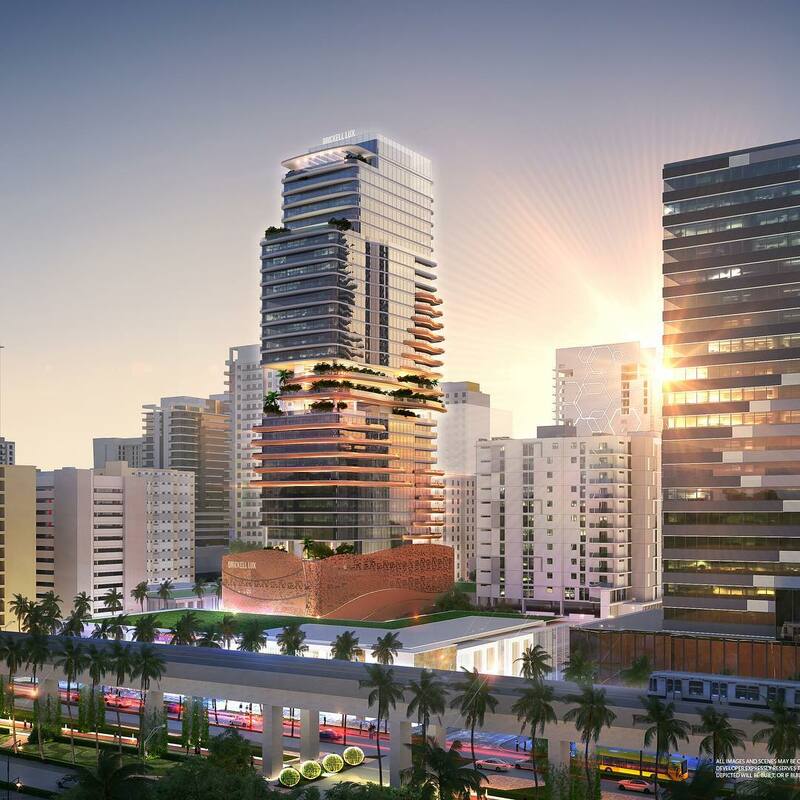 The new tower, to be called Brickell Lux, is proposed to be built at 143 Southwest Ninth Street. 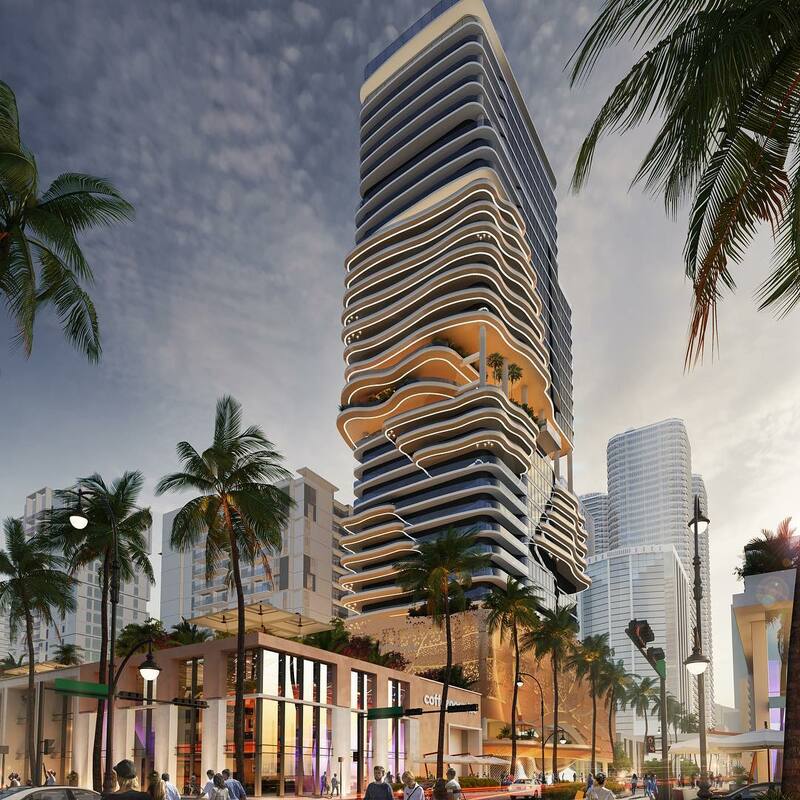 Brickell Lux will include 108 luxury condos, 60 hotel rooms, and ground floor commercial space, Habitat wrote on social media. A small apartment building is currently on the property, and will be demolished. Habitat purchased the property in September 2018 for $14.5 million. 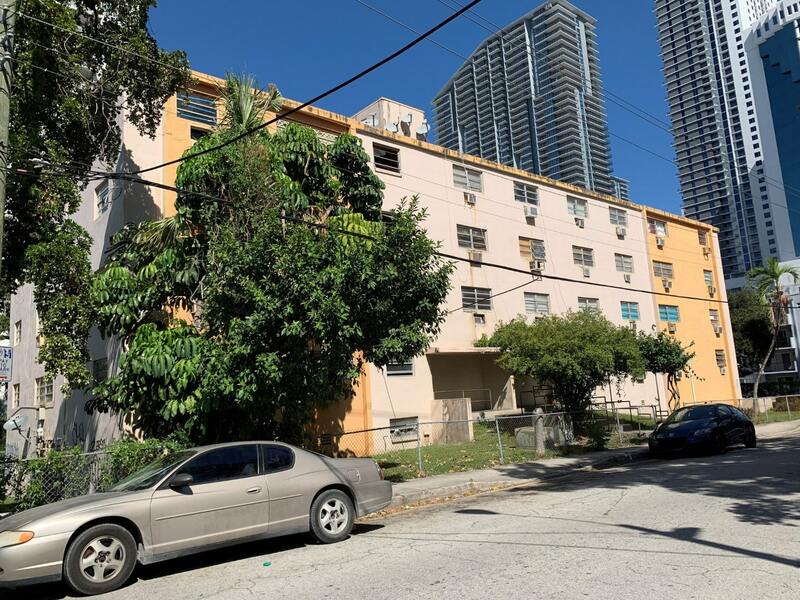 At the time, the developer said construction on the new project would begin within two years (records show that construction is now taking place at the current building, with a roof being replaced at a cost of $54,000). 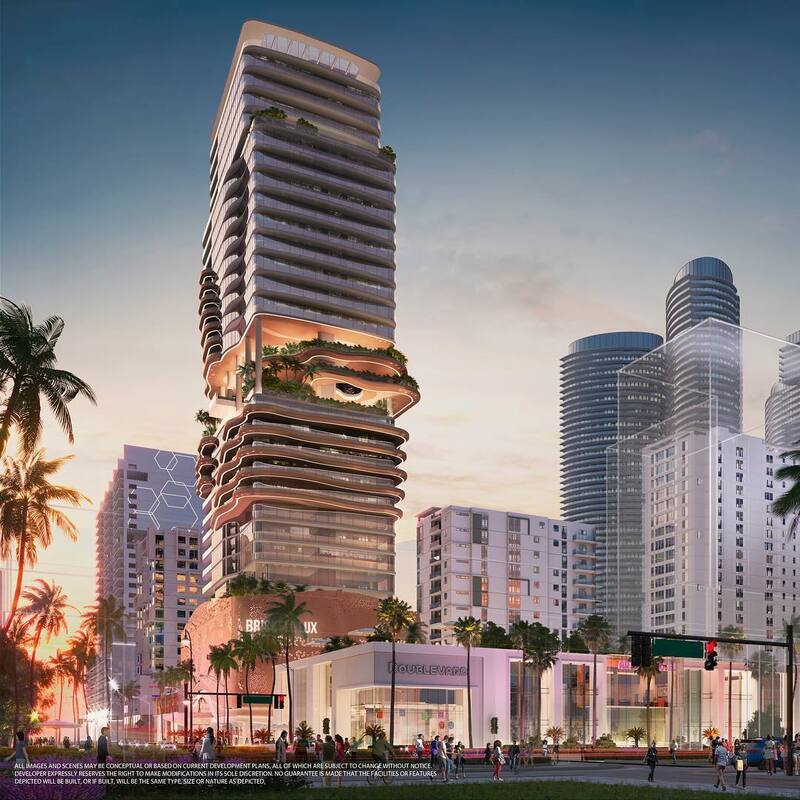 Miami-based architectural design firm Ayenk prepared the conceptual design, in association with Kazakhstan’s INK architects. OMG! I love it so much!! Nice! West Brickell getting the love too. Good for density. There have been countless bold looking buildings like this proposed, still waiting for one to be built. Why not? Diversity makes a city exciting and convivial. Have you not heard of work-play-live? What’s up with the “lux”? 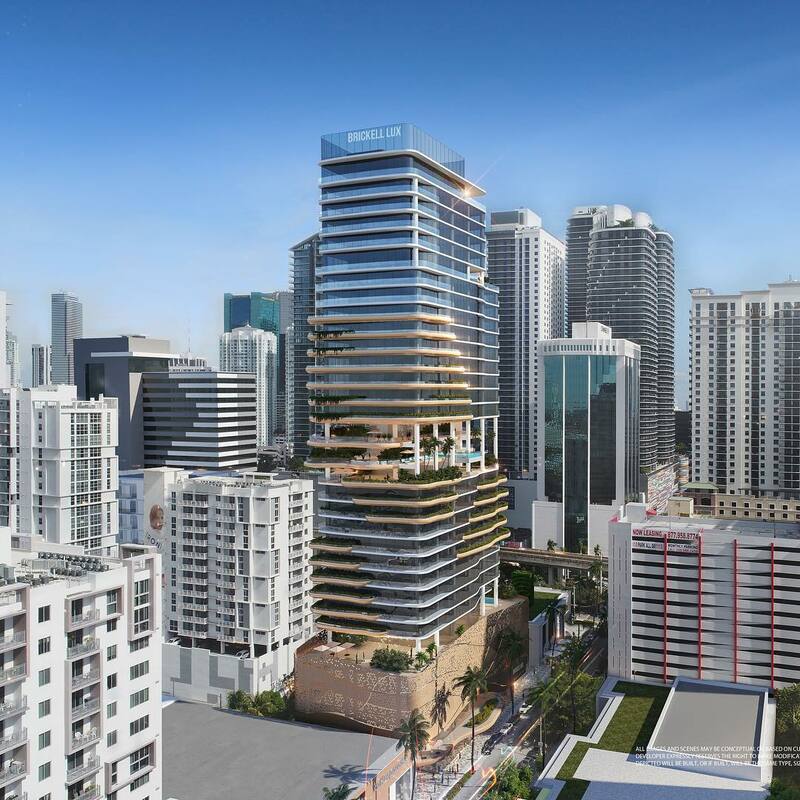 SLS Lux, Brickell Lux, Hialeah Lux, etc. Not good, and it borrows the SLS Lux “cut out” idea, where the amenities (9th Floor, 45th Floor, & 46th Floor) are located in SLS Lux. Super cool design and Habitat will actually build it, not just use it to get more $$$ for their land sale. Bravo! this “conceptual design” will never get done, the architect was only granted permission of doing a design for their own advertising purposes…. 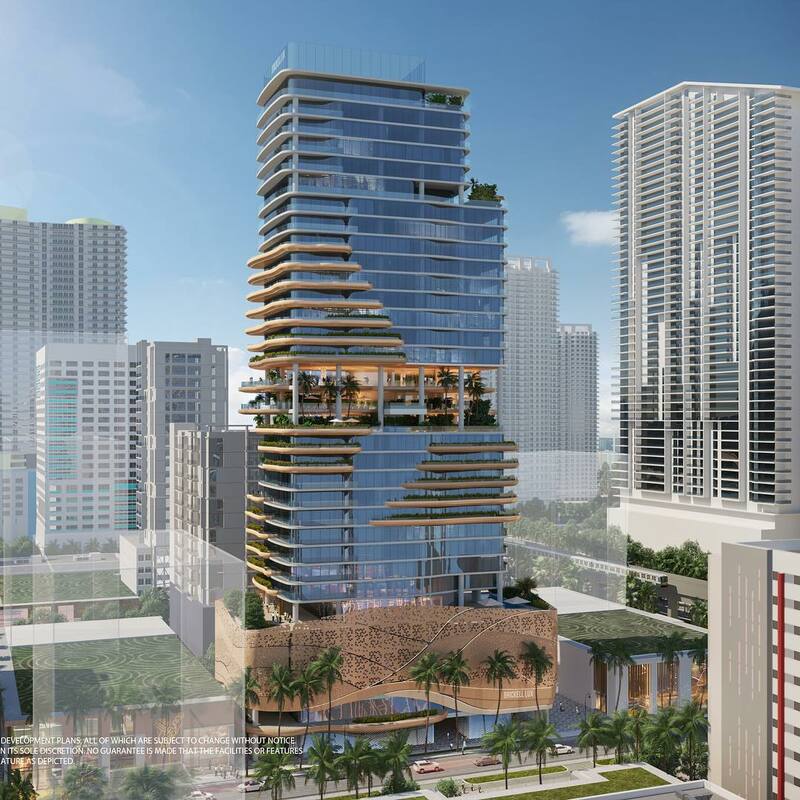 This design will cost millions to build so makes no sense to do it on West Brickell… maybe in a water front lot…. wake up to fake news in the real estate world!!!! Advertising to attract dummy investors…. Very nice.. and near the center of Brickell. This gave me a hard on!!! He visto el proyecto de construcción de un edificio que me gusta, quiero saber cuando será construido y también si las terrazas estarán abiertas al aire libre. Love the building! It contrasts with the surrounding linear buildings so much, and I bet it’d become a sight-seeing sport for tourists in the future. What a stupid, non-sensical and ridiculous design. It’s amazing how these types of things get pass through clients, the city and its inhabitants. Can’t you see this eyesore will be there for years and years? And by the way, who are these people “Ayenk”? You go to their website and they can’t help themselves, blatantly copying right and left Zaha hadid, Bjarke Ingles and others? NO SHAME. WOW. Beautiful and interesting design! Gorgeous project! They keep making the same mistake. Hotel should be on the higher floors and residential on the bottom. 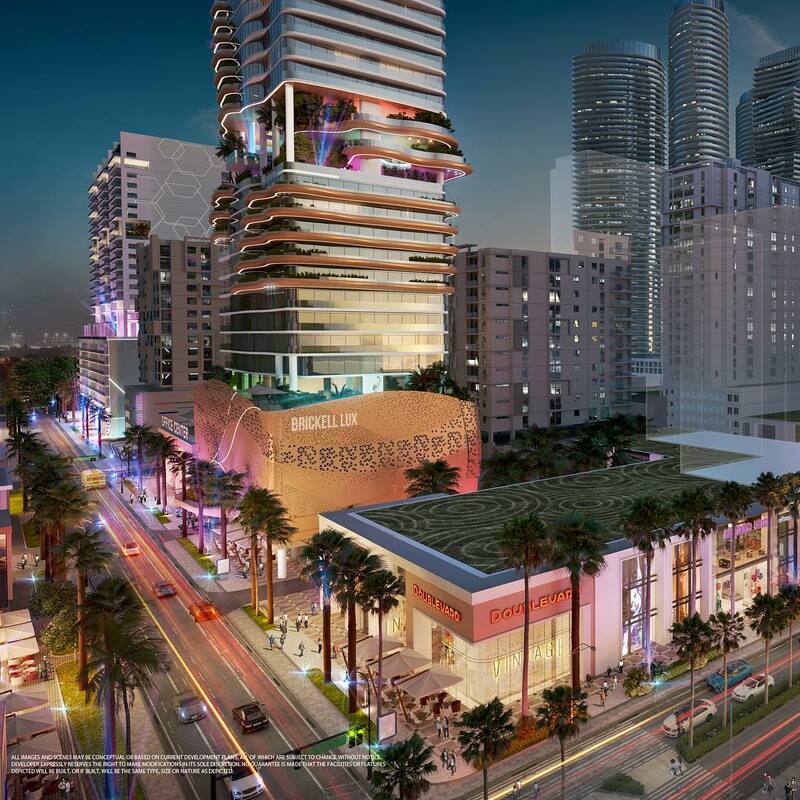 Once again a very noticeable barely covered parking garage will grace the streets of Miami. Let’s start talking about parking maximums not minimums. Because for most of the people in this city, that is one of the most impacting aspects of any project. Take the northeastern corner of the Downtown Whole Foods block. Have you walked the east and north sides of that block? Compare that to the walk along Centro. The experiences are vastly different. Not every building can be completely free of parking, but the reason people complain about it is because they care about the ACTUAL experience of being in this city as it grows. Lol meanwhile y’all are growing half-mast just cause a building is gonna be over 1,000 feet tall. I’ll take zero parking, thanks. This is a really ugly concept. Unfortunately, we cannot talk about parking maximums until public transit is addressed. For a parking garage, it looks well concealed IMHO.